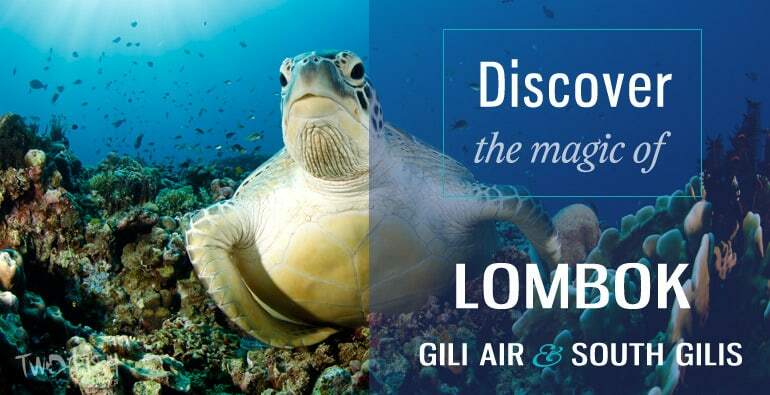 We have resorts in both Gili Air and the Secret Gilis in the south of Lombok. The “Secret Gilis” in South Lombok are only a short boat ride to the mainland and a mere 2.5 hour car drive away. We’ll be happy to arrange your transfer according to your schedule, which means that you can easily do both in the same holiday!! We have some great packages that include diving & accommodation at both our resorts in Gili Air and South Gilis, they offer a discount and so are a great value! WHEN YOU CAN DIVE BOTH?  Special: combo’s of 7N or more get 1 night dive for FREE!! These packages are based on 2 day-dives per day, and include accommodation with breakfast & double/twin occupancy and airport/resort plus inter-location transfers. Note: We quote in IDR, the above Eu prices are examples only and will change according to exchange rate. OUR SINGLE PERSON SUPPLEMENT IS ONLY Rp 475,000/NIGHT. WANT 3 OR 4 DIVES PER DAY? Other packages available, please use the form below to contact us about your particular requirements, we will be happy to tailor a package to your needs! Two Fish Divers’ Gili Air dive resort is overlooking the beach, in our partner resort Villa Karang. This beachside dive resort with 26 guest rooms, in-house restaurant and bar and an 18m swimming pool is an ideal place to stay, dive and relax. All rooms have AC and hot water shower, and wi-fi is available in the resort. Gili Air has no motorized transport and is a peaceful, relaxing island – Quite different from the hustle & bustle of neighboring Gili Trawangan. We’re a very short walk away from the beach front where our dive boats depart from. Villa Pao Pao is a unique luxurious 3-bedroom villa situated on the idyllic island of Lombok and is set just 40 yards from it’s own beach. The rooms enjoy magnificent, uninterrupted views over the bay. Villa Pao Pao offers the perfect base for your stay as well as to dive and relax. Enjoy the tranquillity of the villa and its beautiful landscaped gardens. The gardens are planted with a wide variety of tropical fruit trees including banana, lemon, jackfruit, mango, coconut trees as well as pineapple plants. All you need to do is dive! Having trouble deciding which of our locations you want to visit first? Want to try more? Diving with Two Fish Divers means that you can book several stunning scuba diving locations with the same world-class operator in one holiday with our Indonesia Dive Safari. Why not try all locations?